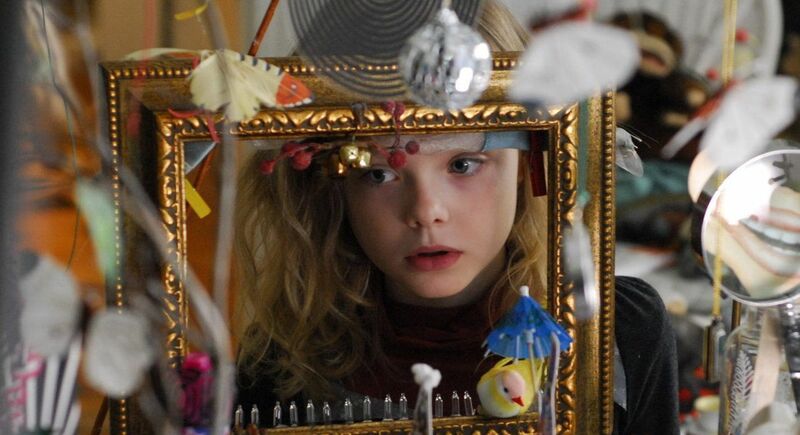 In Daniel Barnz’s Phoebe in Wonderland, Elle Fanning stars as the intuitive 10-year-old Phoebe Lichten, who has an overactive imagination and two overly analytical writers for parents (you can see why she may have some issues). Harboring the slight tendency to act out (and act as well), Phoebe literally jumps at the chance to perform as Alice in her school’s fledgling production of Alice in Wonderland. The only problem is that the Wonderland characters start to appear right before her eyes (the Queen of Hearts and Mad Hatter smoke a pipe in the tree planted outside her home), guiding Phoebe through the winding maze of adolescence and chiming in with Cheshire Cat-esque idioms. She begins to mistake these imaginary folk and their mischievous wordplay as qualified psychoanalysis, proving not so safe for the impressionable one. Fanning, who plays the precocious and sometimes self-mutilating titular role, sufficiently rises to the occasion in her first headlining gig, peppering Phoebe with just the right amount of sunshine and playground angst. But the adults are the highlights: As Phoebe’s well-educated and concerned parents, Felicity Huffman and Bull Pullman bring human drama to the table when things start to get rough for Phoebe, holding the family together as their eldest daughter may be cracking down the center. 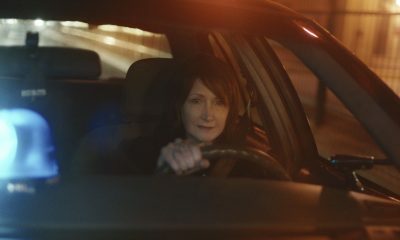 Patricia Clarkson shows up about midway through, complementing the tone as an eccentric drama teacher, and providing Phoebe the dramatic license to let go and chase her character Alice down the rabbit hole as a way to channel this unusual behavior she’s exhibiting through a safe, creative outlet. However, the taxing whimsy of Phoebe in Wonderland proves more grating than poignantly escapist—prancing around like a mashed-up movie of the week with insipid attempts at Pan’s Labyrinth-like wonderment and pathos. There are genuine moments of suburban parental collapse and insight, but this trying little film can’t quite hold all the tangential Freudian babble under such a heavy, overwrought premise. Barnz’s attempts at painting the perfect portrait of a screwed up, “different” kid is amusing at times, but it would have been nice if he let Alice stay in Wonderland and left Phoebe to her own devices, with no limit to all the trouble she could get into.